Vanilla Extract at 16 Days! I'm loving the color!! 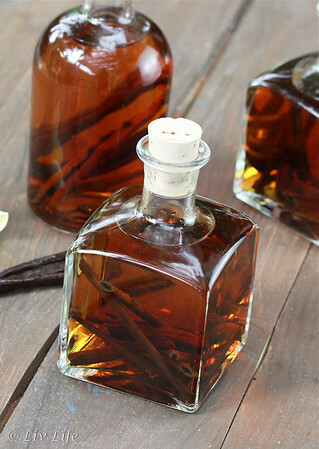 Have you started your vanilla extract yet?? Since brewing a little over two weeks, ours is turning a gorgeous amber color and taking on a lovely vanilla fragrance... just like it's supposed to. I'm so excited at how pretty it already looks, I simply had to share our progress. In any case... have you started your extract? What beans did you use? How is it coming along?? Did you experiment with different alcohols? I can't wait to break open a bottle of this batch and bake! In the mean time, we also have Vanilla Sugar. A nice addition to many of your baked goods, Vanilla Sugar also makes a lovely hostess gift. How to make it? Simply place the pods of vanilla beans you've used the seeds for in other baking into a container filled with granulated sugar. 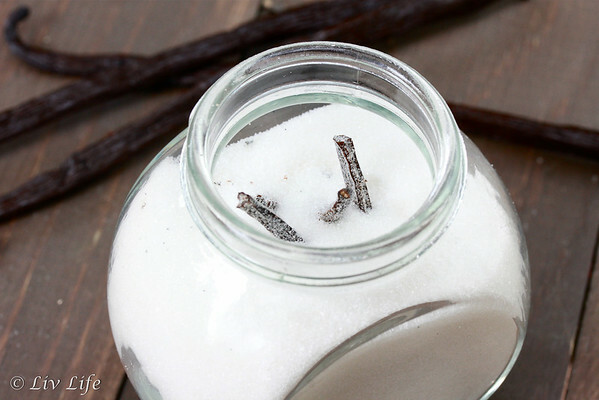 The vanilla pods infuse the sugar giving it a heavenly vanilla taste and fragrance in just a few weeks... perfect for a sprinkle on top of waffles or as a stir into your morning coffee. Want a lower cal version? 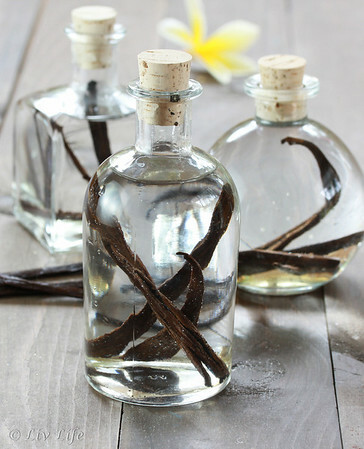 Simply place your used vanilla pods into your favorite sugar substitute, wait a few weeks and enjoy! Sweet with hints of the tropics, vanilla sugar adds a special element to any baked good. Use as a one to one replacement where granulated sugar is called for, or simply replace as much or as little with the Vanilla Sugar as you would like. Place granulated sugar into a sealable container. Bury vanilla bean pods that you have used in other baking into the sugar and seal. 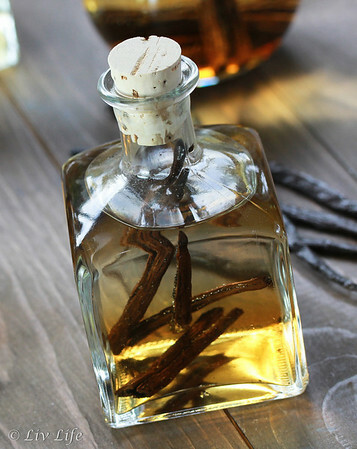 The more pods you add, the stronger the vanilla infusion. If using fresh pods, be sure to slice the pod lengthwise to allow the seeds an oils to escape into the sugar. Continue refilling the jar with new sugar as you use it for a fresh supply, and continue adding additional used pods as you use them. My plumeria tree is finally in full bloom! I've always wanted to try to make my own vanilla, looks great! Let me know if you do Happy Valley! I'm loving mine!! Oh dear, looks so rich and utter full of flavor. I've never attempted to make this at home, should get to it, Holiday season is coming. It's coming all too quickly!! Hard to think about as I'm at 86º today in October, but it will be here before we know it!